Spring is here and my thoughts are moving to spring weekend getaways and summertime road trips. For California travelers, many of these getaways include a drive along the state’s stunning Highway 1. 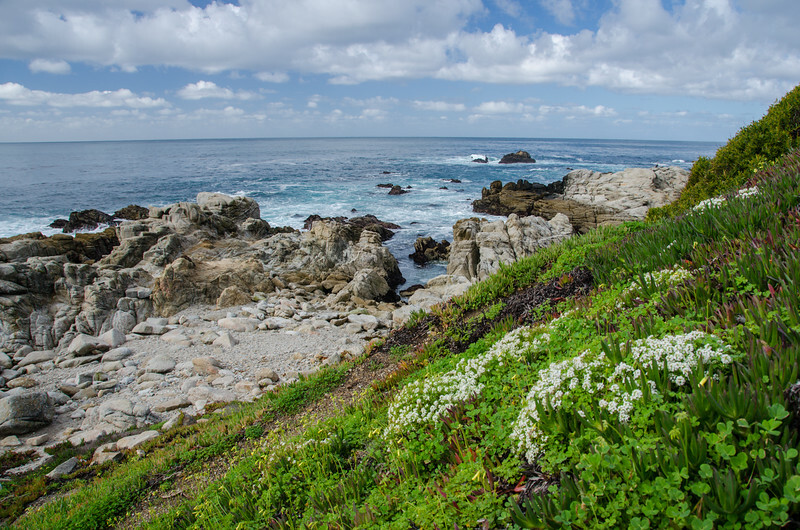 One of my favorite Highway 1 stops is the Monterey Bay community of Carmel-by-the-Sea, California. 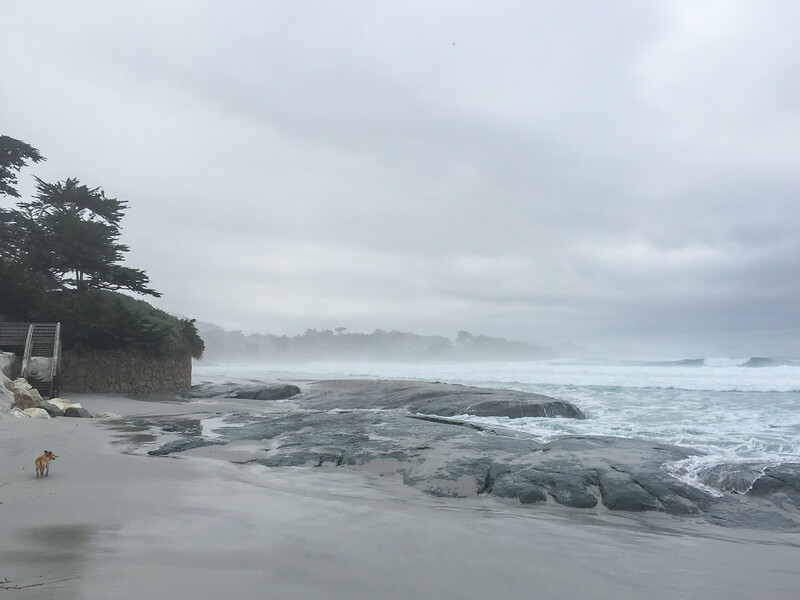 I go to Carmel once or twice a year, sometimes for the day, and sometimes we spend the weekend. It’s just over an hour drive from San Jose so it makes an easy weekend getaway from the Bay Area. 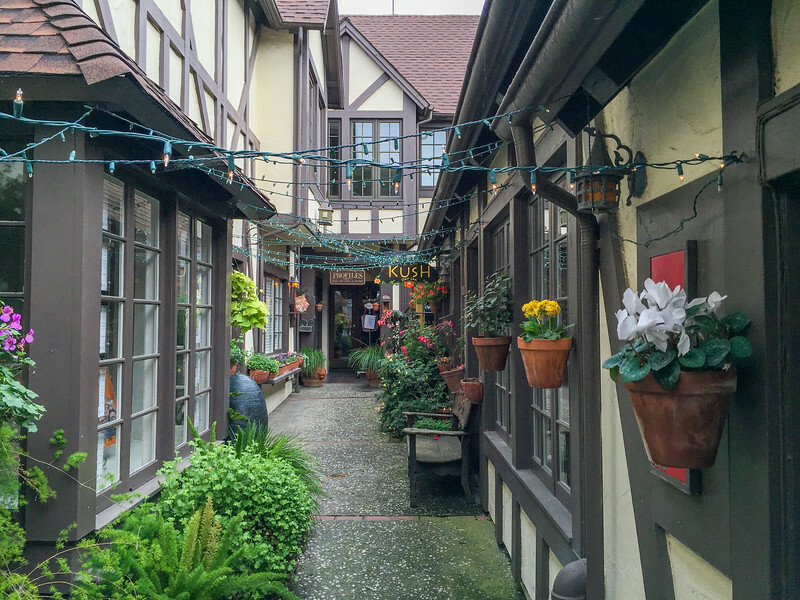 Carmel has a small, European village-inspired downtown and it’s easy to ditch the car and explore on foot. 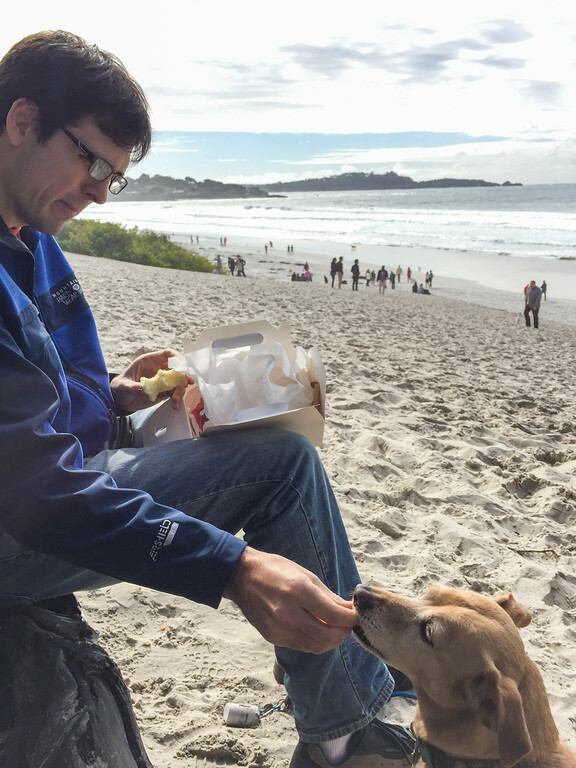 The town is famously dog-friendly and we call Carmel our mutt, Posey’s “favorite place in the world.” Carmel is also a great place for food-lovers and has a truly gorgeous downtown beach. 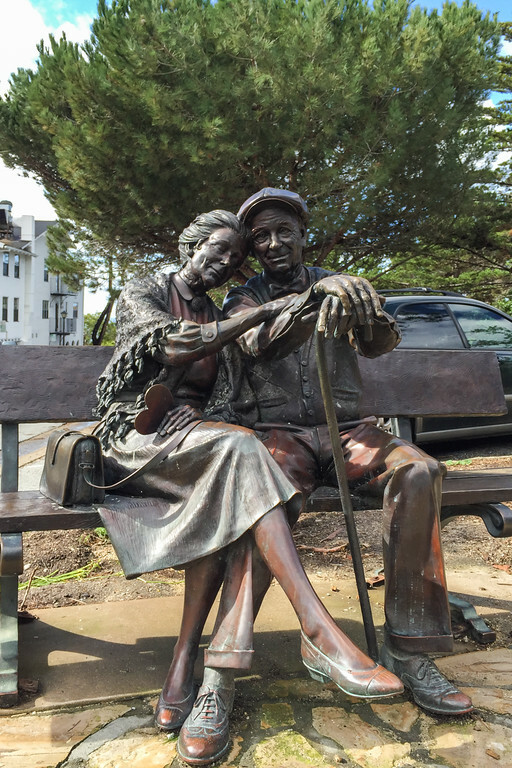 Kevin and I went down to Carmel once again last month and I wanted to share our itinerary and photos of some wonderful things to do in Carmel for your road trip or vacation inspiration. 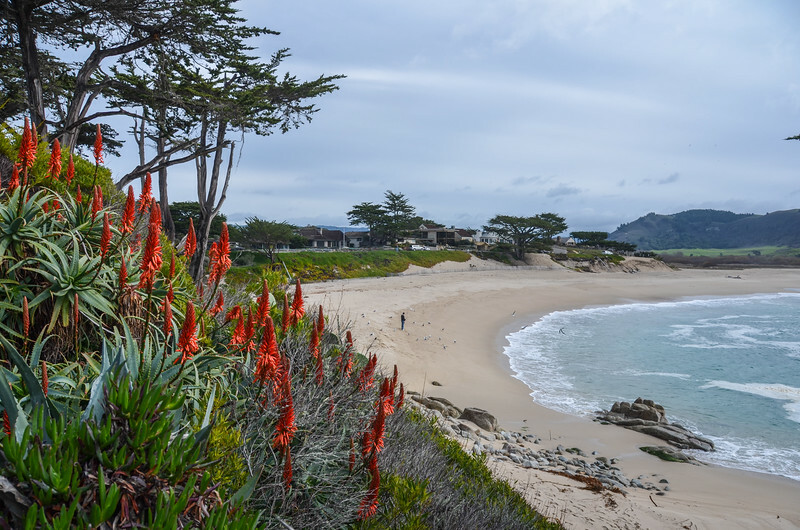 Our first stop in Carmel is always, ALWAYS the beach! 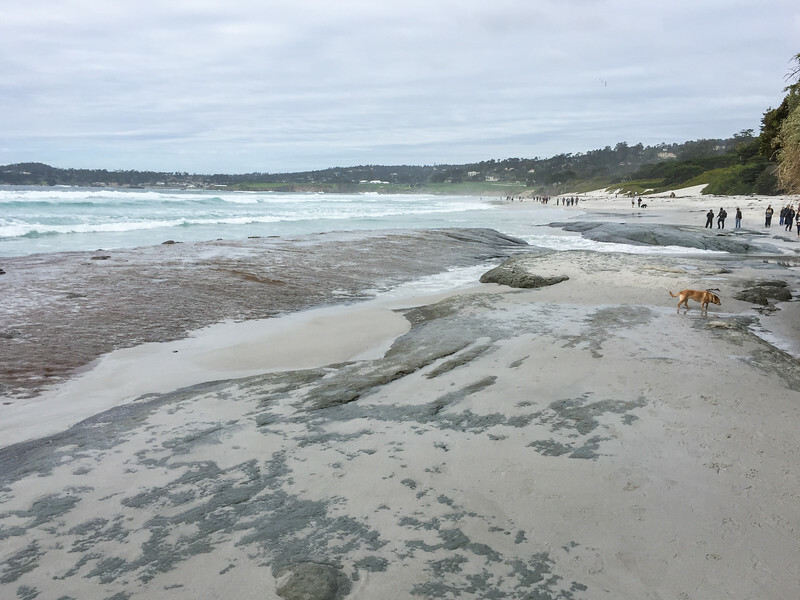 Carmel Beach is a beautiful crescent-shaped, white sand beach on a cove, right at the base of Ocean Avenue. You are allowed to run your (well-behaved) dog off-leash so we enjoy taking Posey there to run and bark with new friends. It was foggy when we arrived on Friday afternoon, but no matter the weather, it’s a stunning place to go for a walk. After wearing Posey out on the beach, we checked into to our home for the weekend, Hofsas House, a European-inspired hotel that we had stayed at once before (see my Hofsas House review). 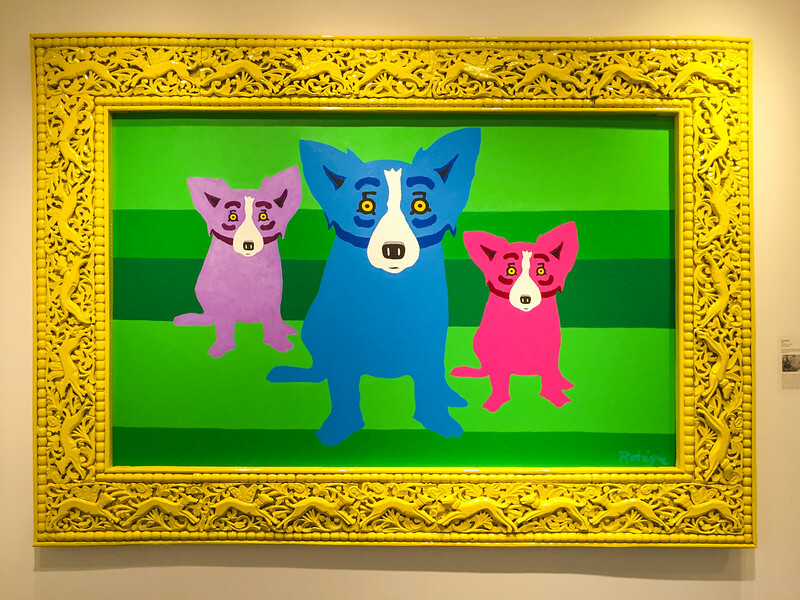 I chatted with the owner, Carrie Thies, to plan our weekend. Carrie is a long-time local business leader and current Carmel City Council member. 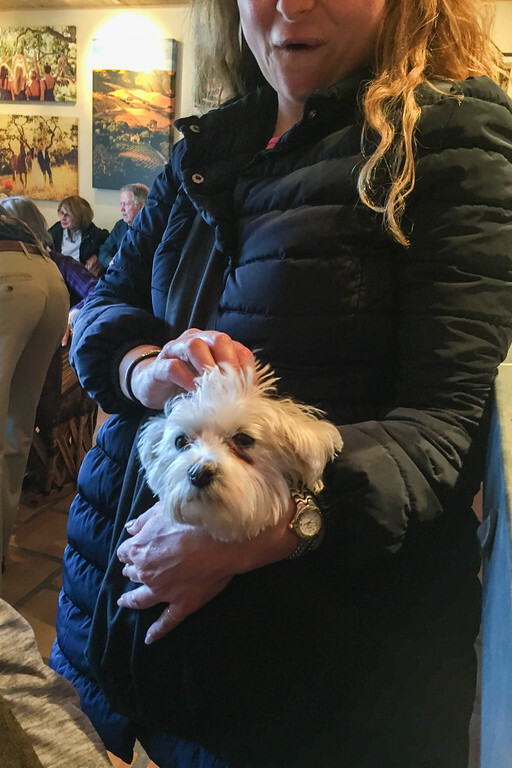 There are few people in town who know more about the things to do in Carmel, so Carrie is a great person to ask for help. We got some travel tips and then got settled in our room in time to enjoy sunset on the balcony. After breakfast at the hotel (the Hofsas House offers a free continental breakfast in the lobby and invites you to take it back to your room to enjoy on the balcony), we went back to the beach. This time, it was sunny and you could see how blue the water is. 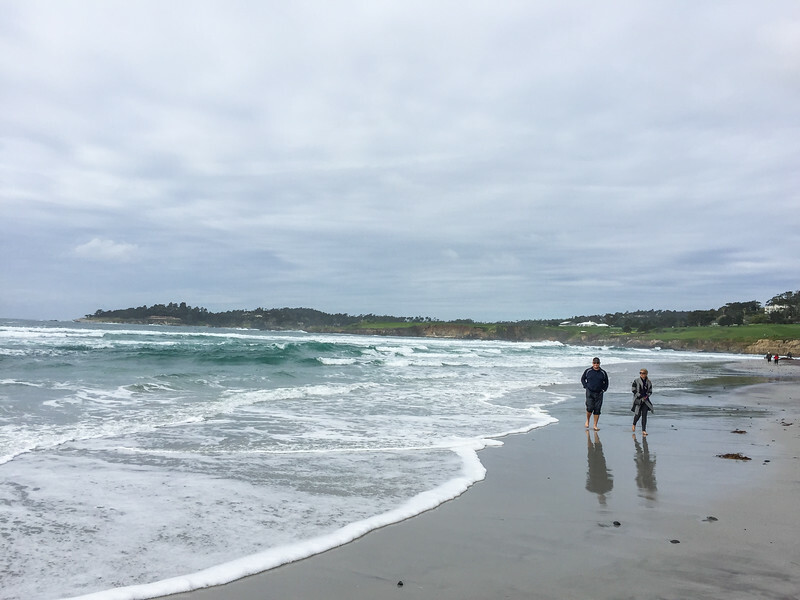 We were there in February after a series of strong winter storms and that have filled our state’s dry reservoirs, but they’ve really pummeled the California coast. There was a big stretch of previously sandy beach where the sand had been washed away, exposing the rock. When we turned around, we saw more proof of exactly how high the winter storm surges had gone. 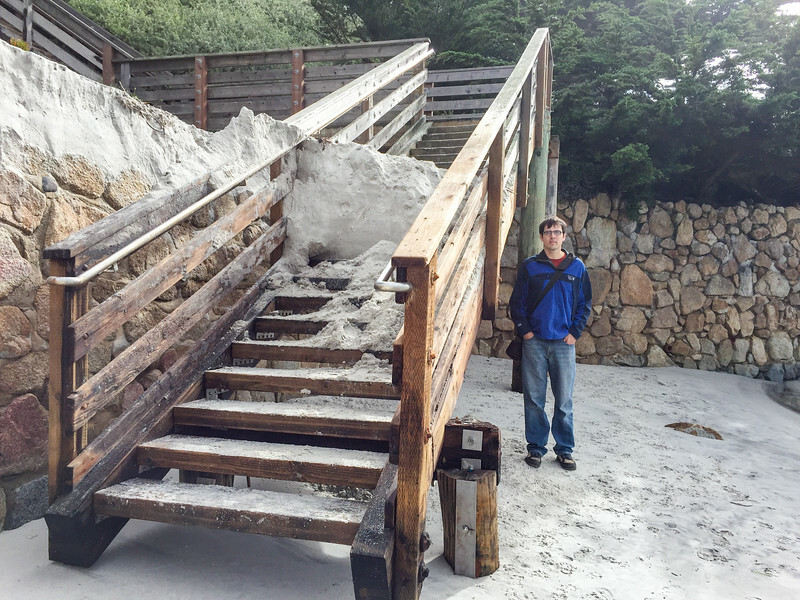 We spotted the sand deposits in this beach staircase that showed us the water had climbed more than seven feet beyond the current beach level! 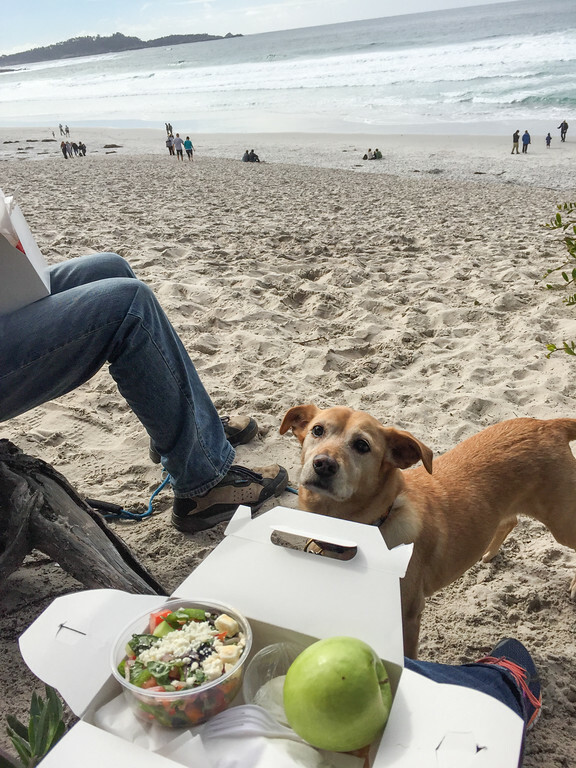 Before heading down to the beach, we picked up box lunch sets from Downtown Carmel’s 5th Avenue Deli and enjoyed them on the beach. 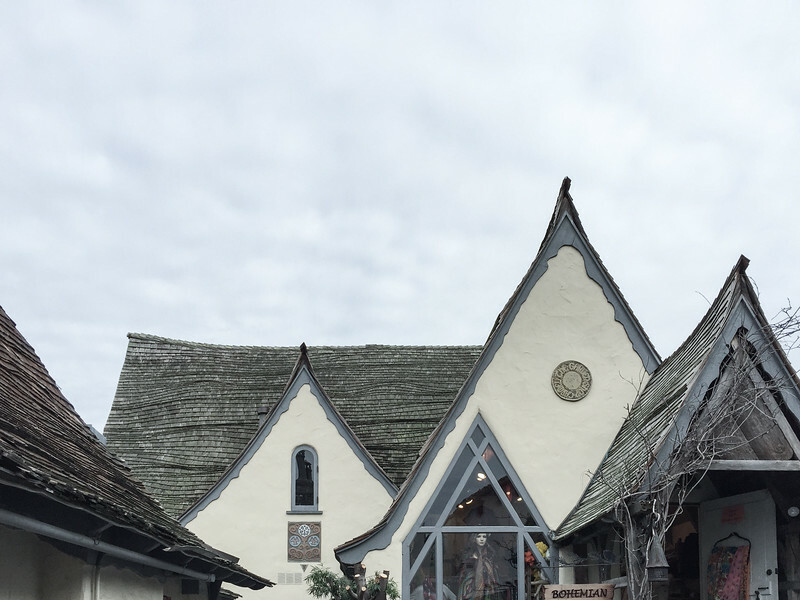 After lunch, we visited a few Carmel wineries on the Carmel Wine Walk and explored downtown Carmel-by-the-Sea. 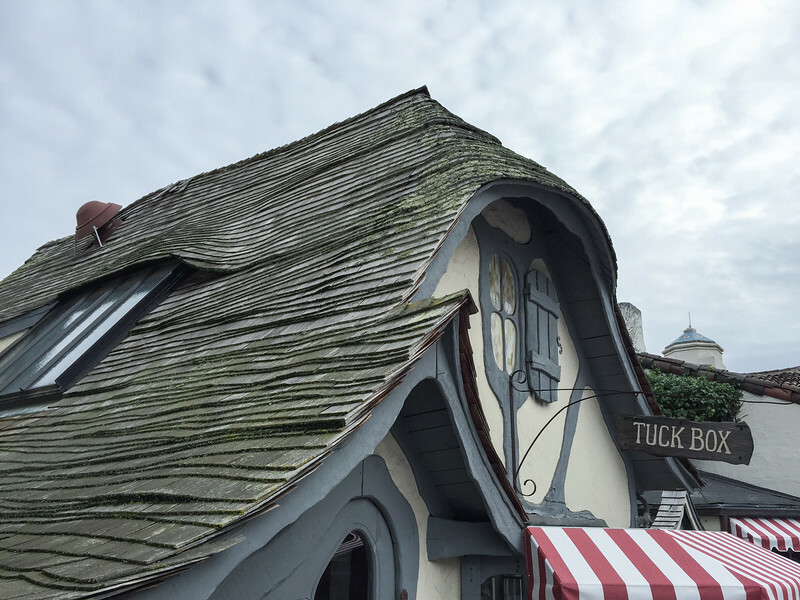 This tiny village is full of storybook structures, hidden alleys, and quirky shops and art galleries. Later in the afternoon, we drove a few minutes south of town to check out another beach we had never explored, Carmel River State Beach. 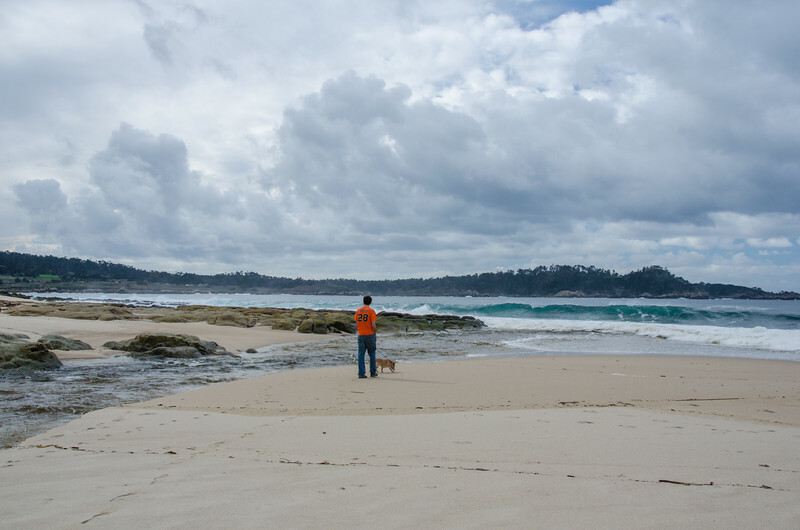 As you might guess, Carmel River Beach sits where the Carmel River empties into the sea. The river lagoon is protected as a wild bird sanctuary–dogs are allowed, but they must be kept on leash. 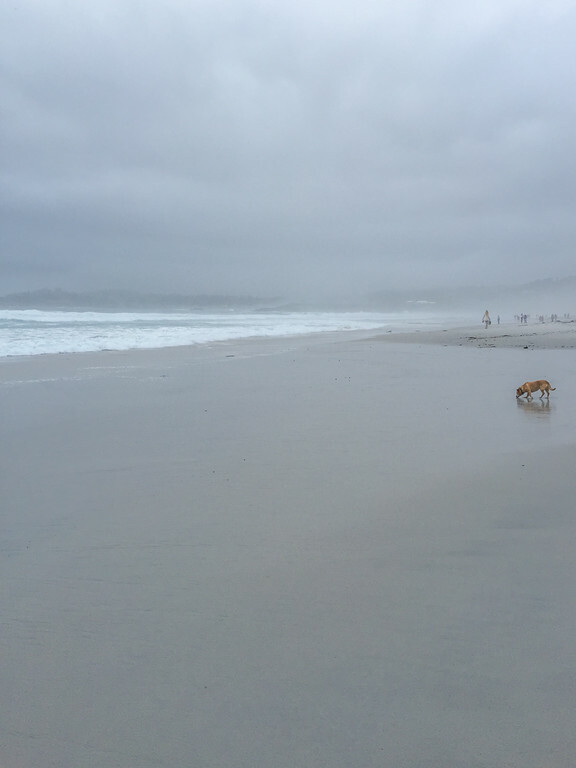 We’ve always loved the main Carmel city beach, I’d never thought of branching out but I’m glad that we did. 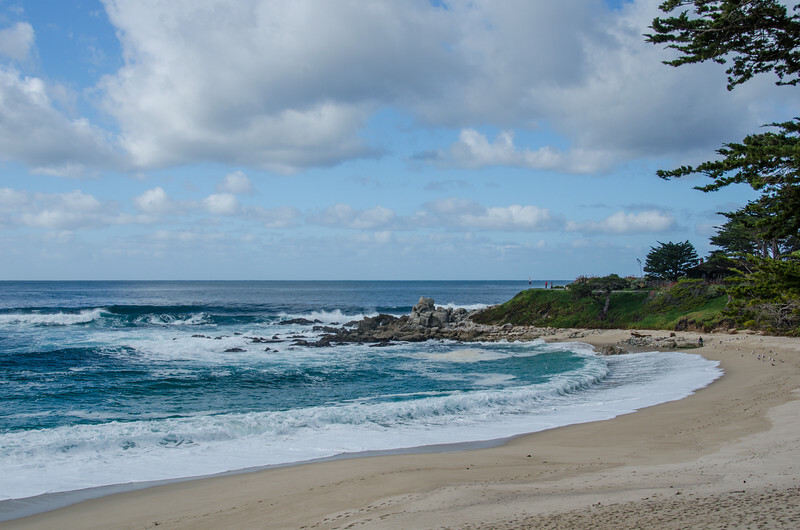 Carmel River Beach is a quiet, wilder alternative to the busier downtown beach. The water seemed bluer and the sand even softer. 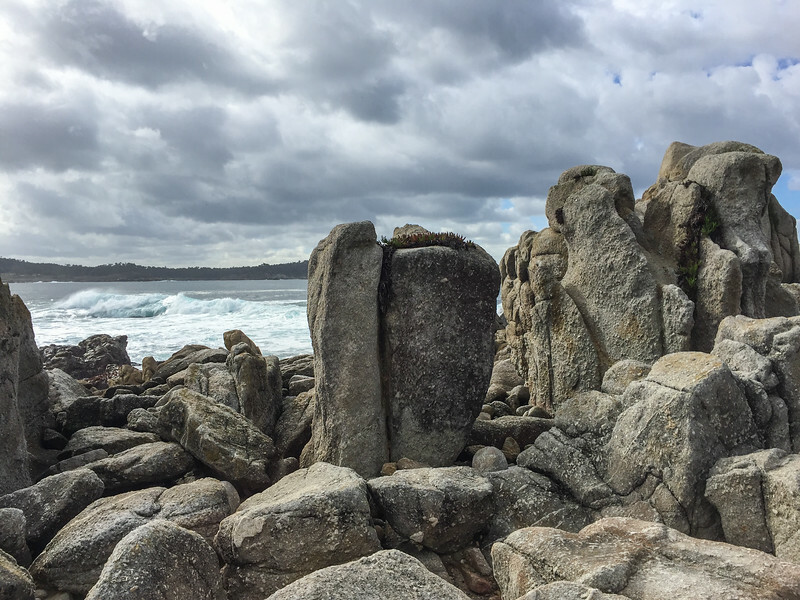 There were rugged rock outcrops and tide pools that were fun to explore. For dinner, we escaped briefly to Monterey to a popular local steakhouse, The Whaling Station (763 Wave St, Monterey). We’ve eaten there a few times over the years, it was one of Kevin’s dad’s favorite Monterey restaurants and we ate dinner there once for Father’s Day, so we were happy to have the memories. I was glad to see there were some new vegetarian options on the menu including a gorgonzola gnocchi, sauteed wild mushrooms, burrata (!) 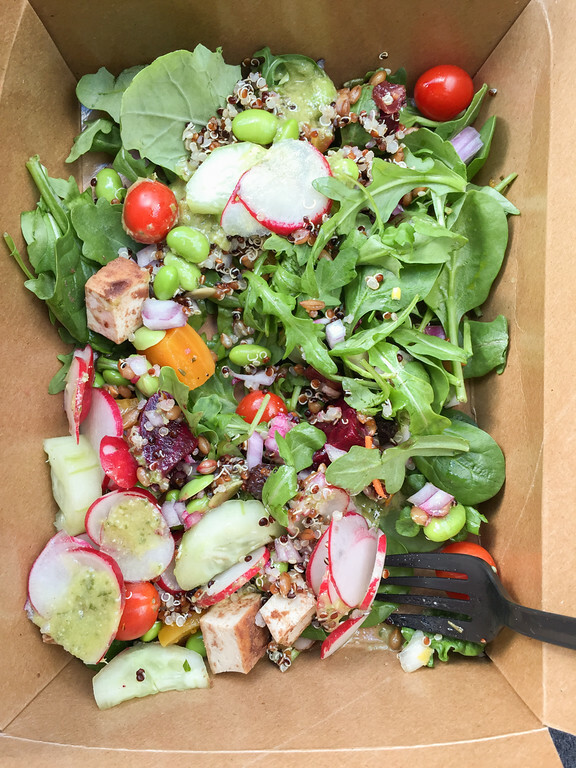 salad and some new deep fried side dishes that they recently added to the bar menu. After one last walk on the beach, we packed up our room and checked out of our hotel. Our last stop for the weekend was one more place we had never explored, Carmel Valley. 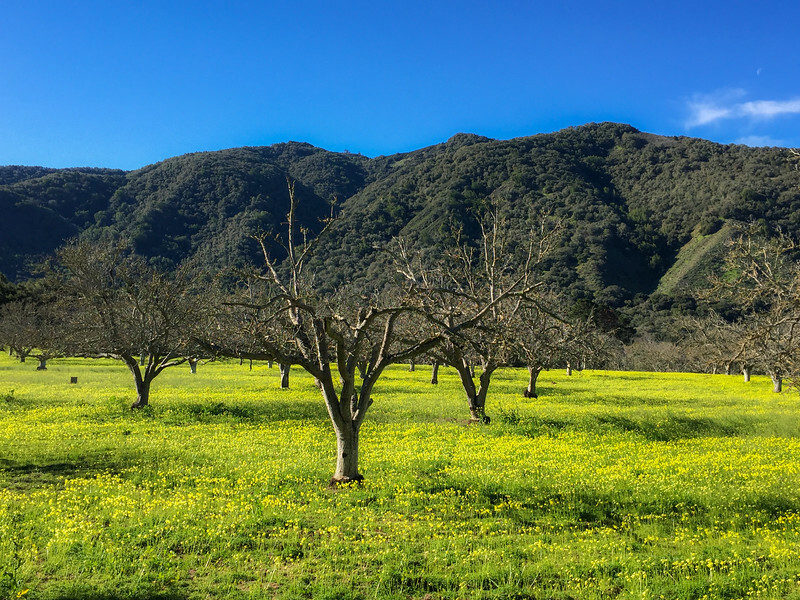 The Carmel Valley runs along the base of the Santa Lucia mountains, along the Carmel River into the Central Valley. In the late winter/early spring the road is stunning, filled with vibrant wildflowers and deep green mountains. 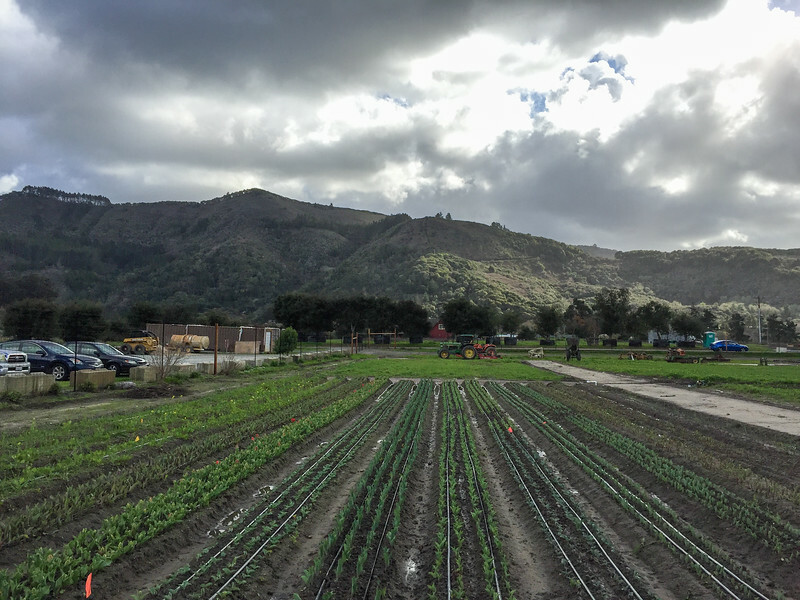 I had remembered my friend Jenna once suggested a lunch stop at the Earthbound Farms organic farm stand (7250 Carmel Valley Road) so we pulled in when I spotted the sign. Today, the brand is a global corporation and organic powerhouse (I’m sure you’ve seen their produce in your grocery store) but it started back in the 1980’s as a family-owned raspberry farm. 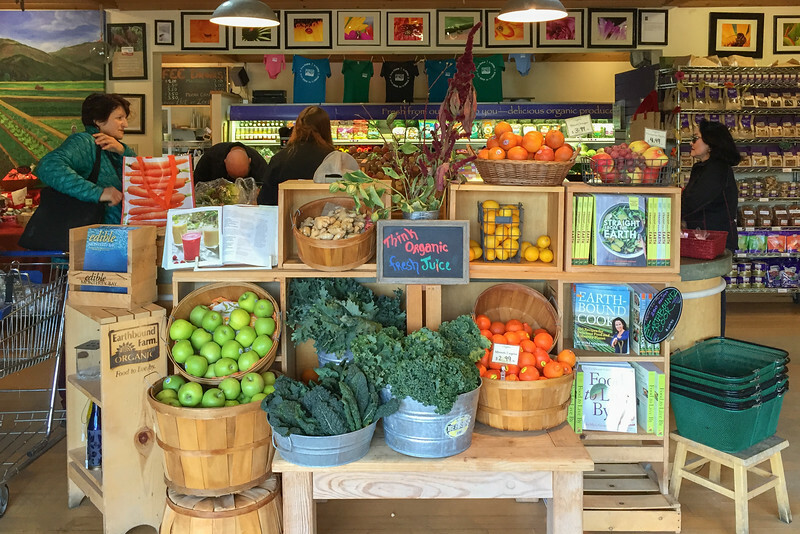 They’ve kept the open-air market feel in the little farm stand. 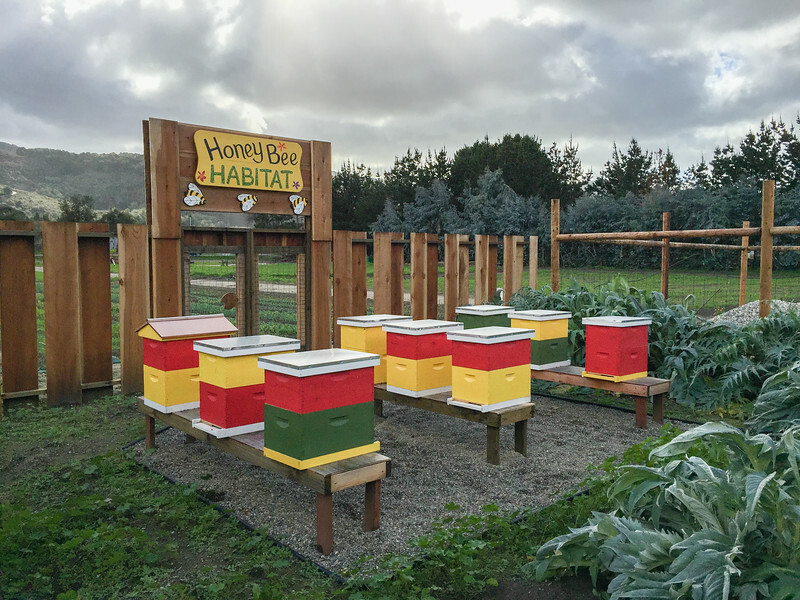 We made some hearty and healthy salads from their fresh salad bar and ate them outside with a view of the mountains, winter fields, and “honey bee habitat”. 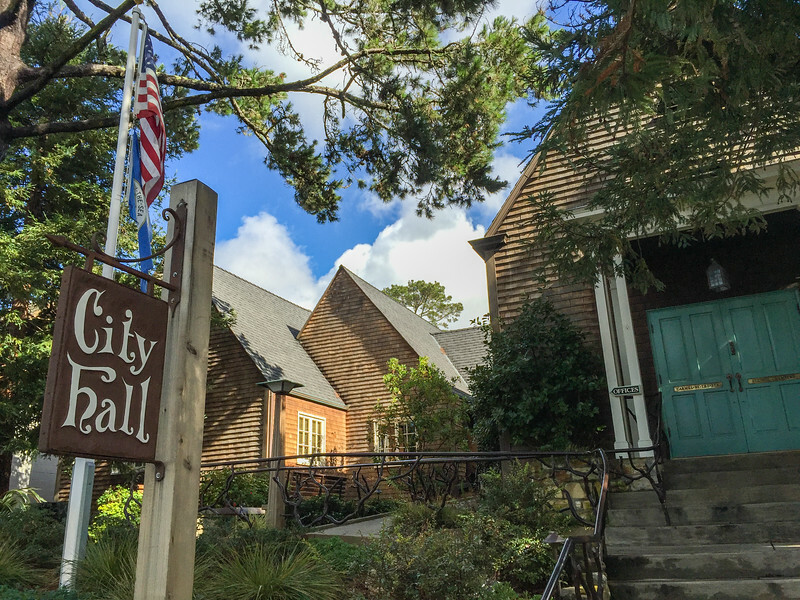 Drove 11 miles inland from Carmel-by-the-Sea to visit the Carmel Valley Village–it’s called a “village”, but it’s a one-block downtown strip, with two strip malls clustered on either side of Carmel Valley Road. 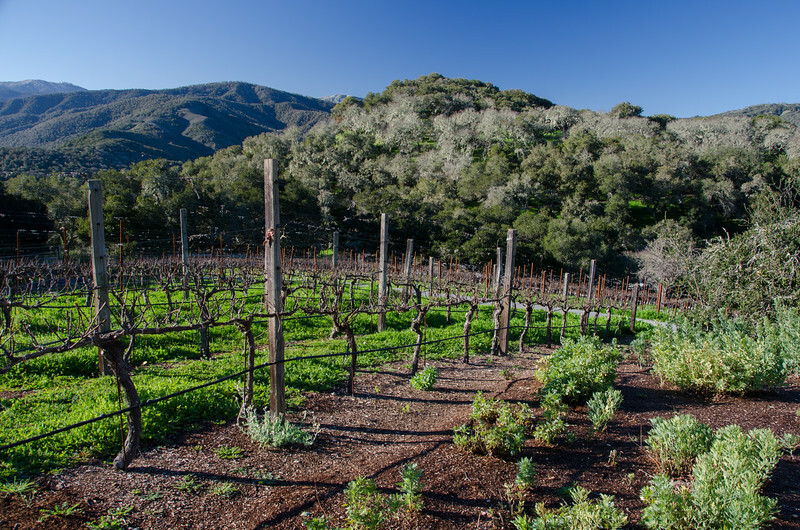 There are more than 20 wineries and tasting rooms in the area, many based along the one-block downtown strip in Carmel Valley. 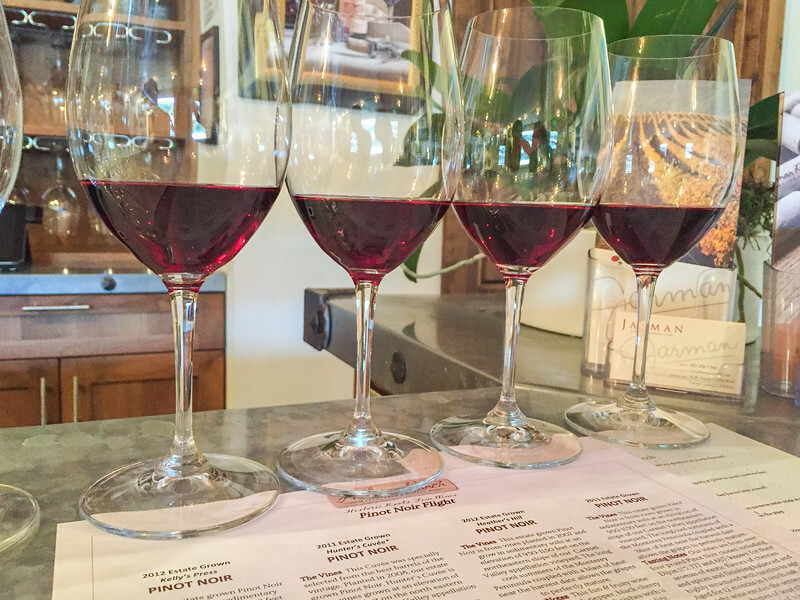 We stopped into the one of the Holman Ranch (19 East Carmel Valley Road) tasting room for wine tasting and to check-in for an event, a media dinner and tour of the ranch estate and vineyards. While we waited for other attendees to arrive, Kevin and I sampled a flight each of their wines. I really enjoyed their robust Pinot Noirs. For dinner, we headed up to the ranch. The Holman Ranch estate features 21 acres of hilltop vineyards, horse stables, the winery, and a 100-tree olive grove. 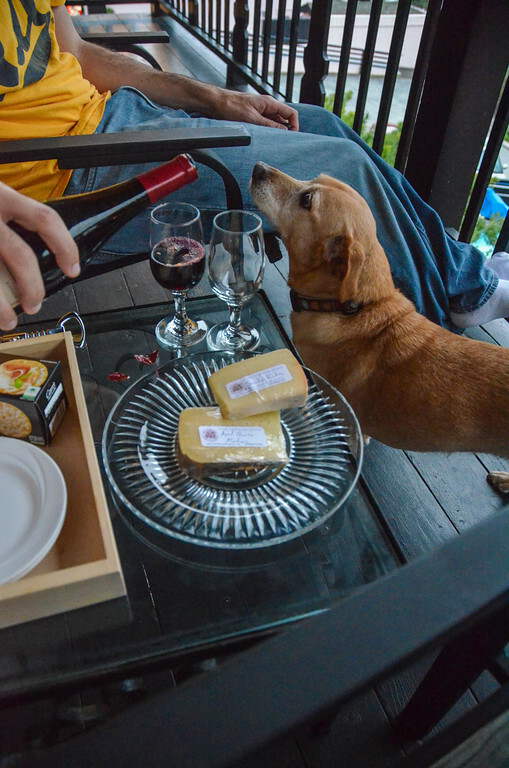 The estate is not regularly open to the public for tasting, with the exception of a few annual festivals, parties, and events. 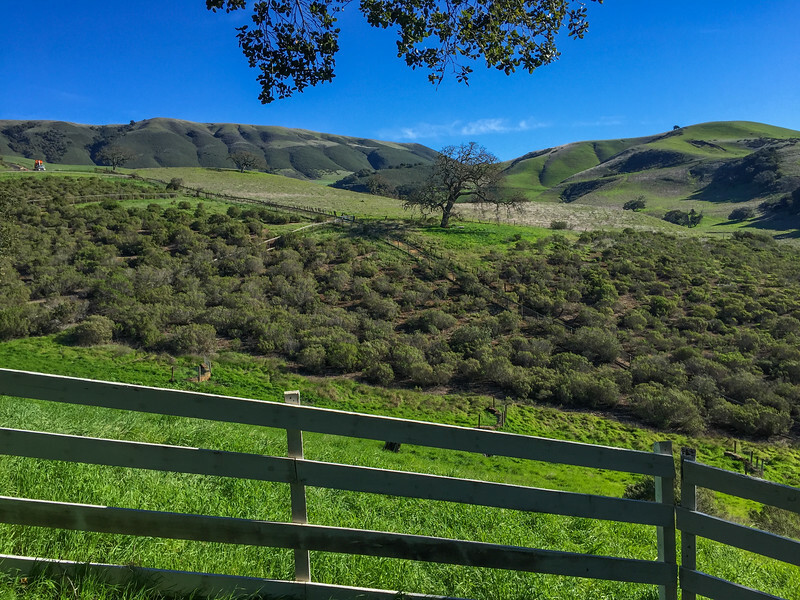 The ranch is a popular Carmel Valley wedding and event venue and with these views I could see why! An Instagram search for #HolmanRanch turns up thousands of breathtaking wedding shots. 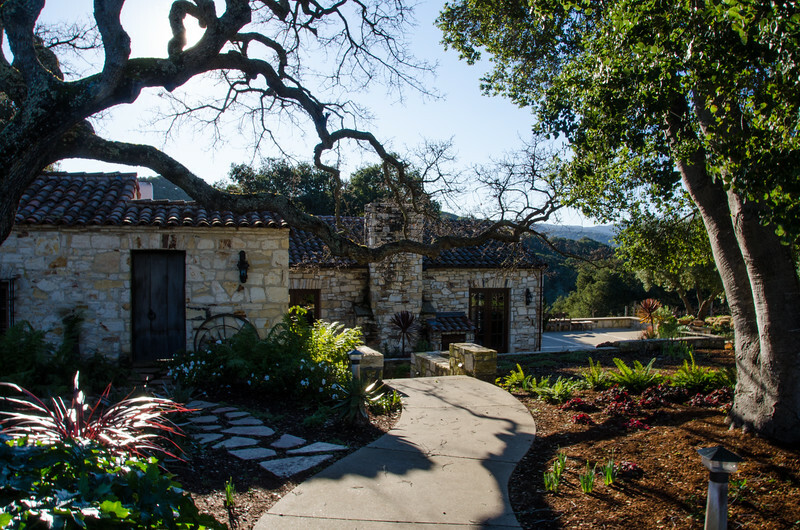 The center of the complex is a restored 1928 stone hacienda, which offers breathtaking 360-degree views of the Santa Lucia Mountains. The estate has a dozen or so on-site cottages and villas that can be booked as accommodation for guests attending weddings or events. On this trip, I was a guest of Hofsas House and Holman Ranch. All opinions and photos are my own. 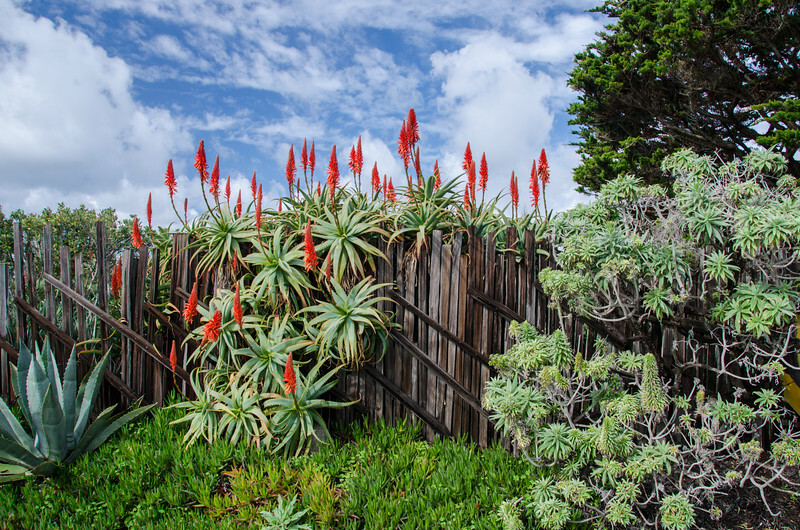 Looking for more things to do in the Monterey Bay? 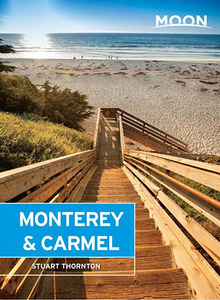 Pick up a copy of the Moon Guide to Monterey & Carmel. 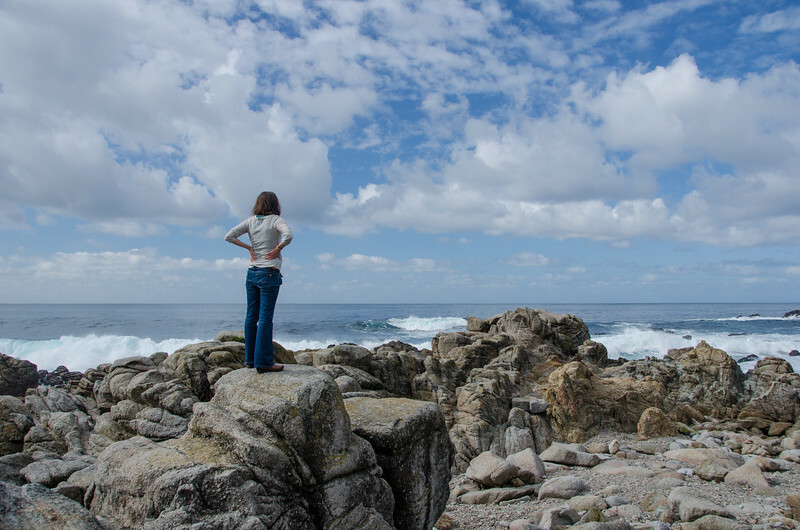 We plan on going down to Monterey for our anniversary in a couple of weeks and poking around Carmel at some point. Thanks for some good ideas of things to do and places to see! Love your photographs, especially of the buildings and architecture. Such a quaint cottage town. 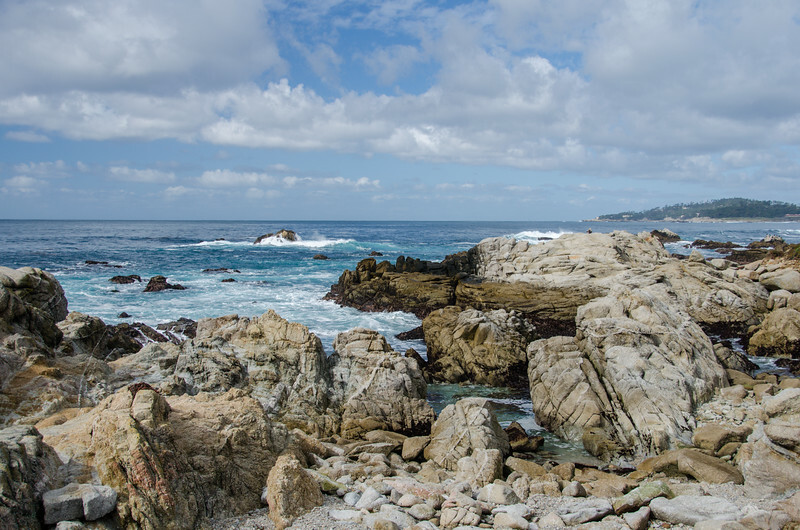 Great write up about Carmel-by-the-Sea. I love staying there. Don’t know how I missed this! Your photos are guh-guh-gorgeous! 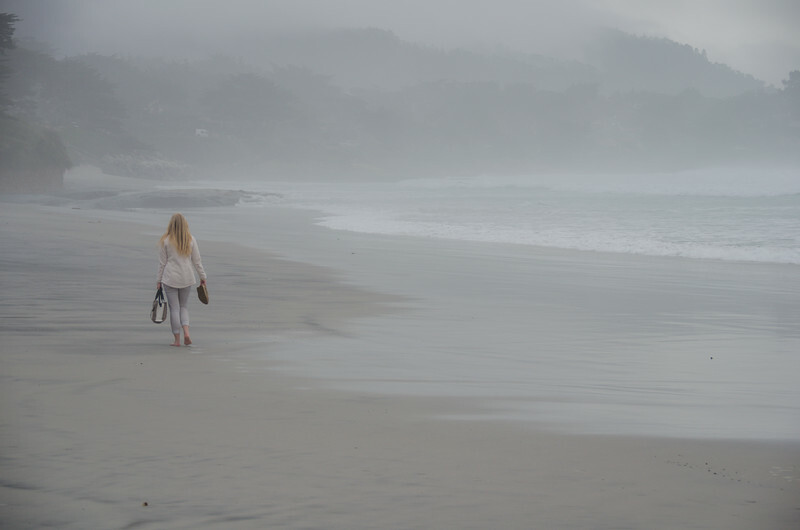 Esp Carmel River Beach…wowza.